In Nebraska, hail-producing storms are common during the planting and growing seasons. Annually, hail causes over $1 billion in economic losses. In Nebraska, hail-producing storms are common during the planting and growing seasons. Half of all hailstorms occur during the early stages of corn growth. This often causes frustration and anxiety for growers concerned about the fate of their crops and whether additional management or replanting is warranted. Hail forms when warm updrafts in thunderstorms carry raindrops upward into extremely cold areas of the atmosphere. Hail can occur anywhere in the world; however, the topography and geography of the United States favor the development of tornadoes and strong hail-producing thunderstorms. In Nebraska, 70 percent of hail events occur from May to July, peak growing season for Nebraska producers. In recent weeks, severe storms with hail left behind a wake of destruction in corn and soybean fields in parts of central and eastern Nebraska. 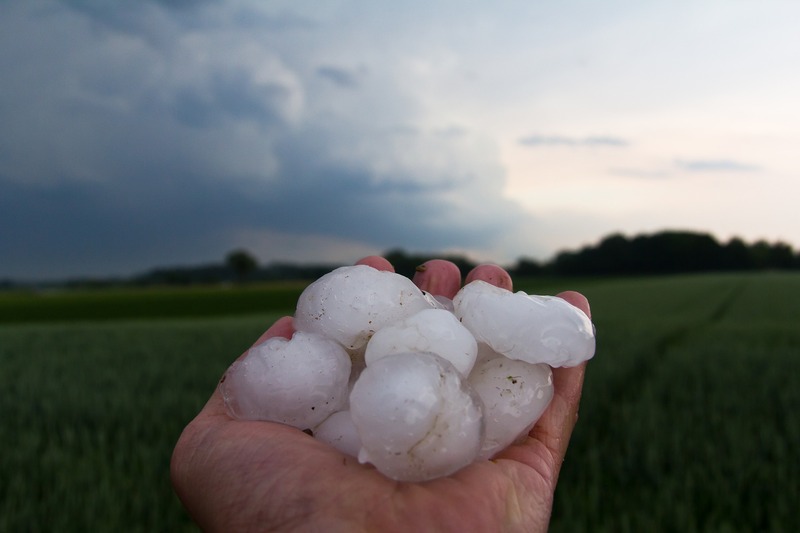 Through Hail Know, growers can learn how to conduct a crop damage assessment. The assessment offers factors to consider when assessing damage early-season, in-season and late-season. When deciding whether to replant corn or soybeans, Hail Know recommends considering the yield potential of the replanted crop, previously applied herbicides and relative maturity of the crop, among other factors, when assessing the damage. “The best advice following a hailstorm is to have patience. Emotions run high when hail decimates fields, but it’s best to wait seven to 10 days following the storm to allow for plant recovery before assessing damage,” said Mueller. The development of Hail Know was funded by a USDA National Institute of Food and Agriculture Smith-Lever special needs grant with matching funds from the University of Nebraska–Lincoln.